Looking to have a bunch of desks hauled out of your office space to make way for the new and improved stuff? Need a bed removed from your upstairs master bedroom and unsure if you and your helpers can get it down the stairs? 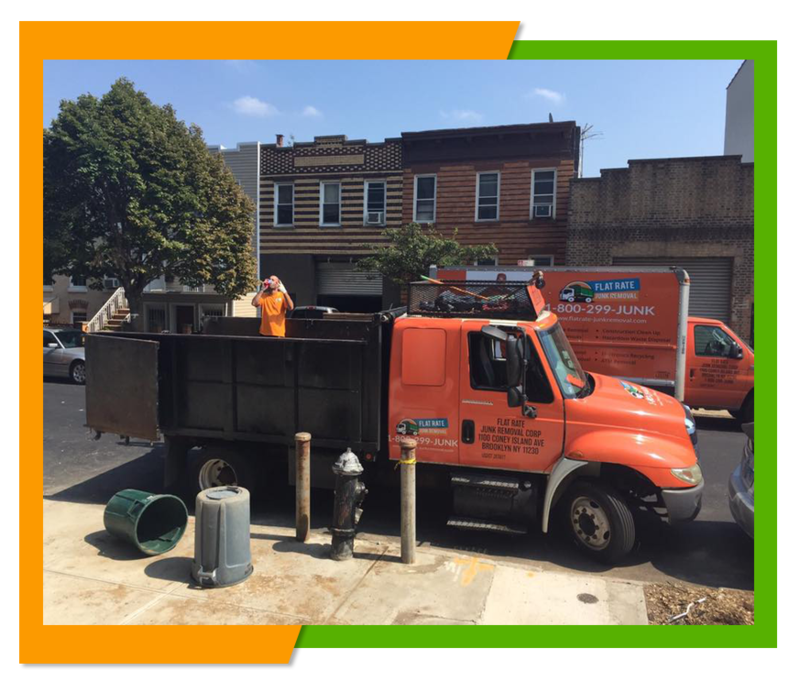 New York City has rules and regulations regarding the removal of furniture from your home or business. Large bulk items often require you to make an appointment before you set the items out to be carted away and there is a limit to how many bulk items you set out on anyone disposal day. 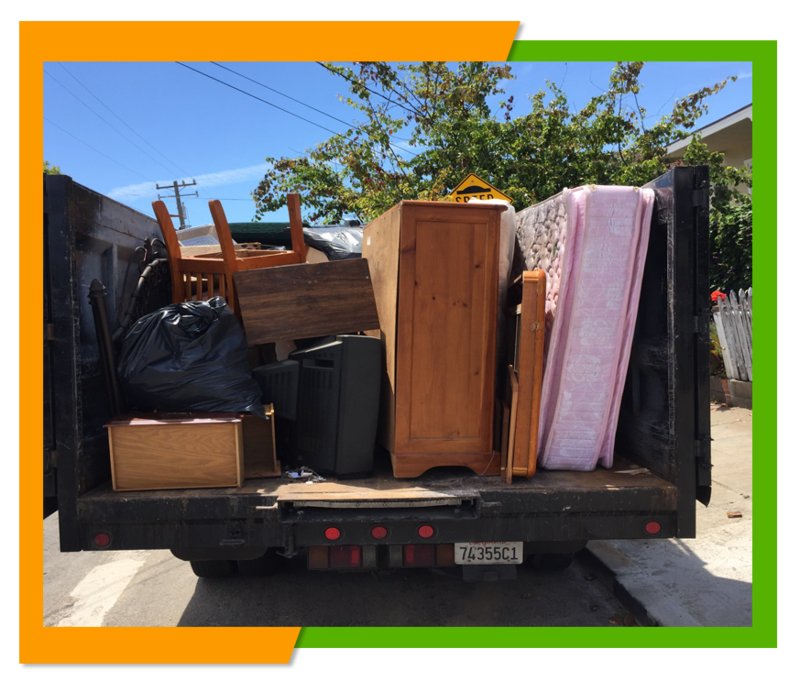 To add to the problem if you are replacing that old furniture with new furniture than you may not be able to wait until your garbage pick up day to get rid of that old furniture. In addition, if you live on the second floor or above and have carry that furniture downstairs you may not have the proper help or tools for getting that old furniture down the stairs and out to the curb. So just what is the easiest way of removing that old furniture you no longer want or need? Why Flat Rate Junk Removal of Course! Here at Flat Rate Junk Removal we remove that furniture on your time table, not the cities. We can set your appointment for the day and time you want to have that furniture removed, including providing same day service. We also have the right equipment and do all of the back breaking work to remove the furniture you no longer want. All you have to do is point to the furniture you want removed and we will do the rest saving you not only back strain, but frustration as well. Just because you no longer have use for your old furniture, doesn't mean that someone else won't be able to use it. So if your furniture is still in good shape instead of disposing of it, we will give to to somewhere where it can be used by others saving it from taking up space in a landfill, while it still has some useful life in it. Whether you are have a residents and want to have a dining room table or sofa removed, own an apartment building and have several pieces of furniture from several units that need to be removed, or own a commercial building and are moving or closing up your office and need to have those old desks or office chairs removed we can meet your furniture removal needs. If you would like to get an estimate for our services based on your individual needs or schedule a furniture removal appointment then give us a call at 1-800-299-5865 and let us know how we can be of service to you. One of the best things about our service is that we charge a flat rate for removing and disposing of that furniture. This means that you won't ever be charged any additional hidden costs, but will know the exact cost of our services right up front before we provide the service. So you know from the get go whether or not our services will fit your budget.